Uganda South: TEST, TEST, TEST, TEST, TEST! 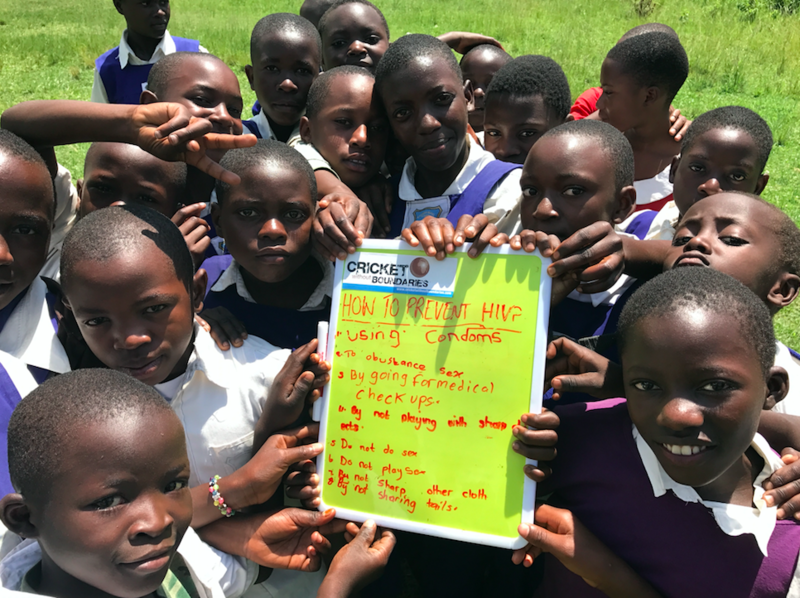 As the day began, I believed it to be very similar to our others whilst in Uganda; teaching young Ugandan children how to prevent the spread of HIV through the use of cricket. How wrong I was! The morning began back at Bulembia school, seeing many of the children we’d got to know and love the previous day, but this time we were playing numerous different cricket games with them which all absolutely loved. Crossfire, Lords Game and Team Targets went down an absolute treat, I’ve never seen the children so happy! Whilst playing the games, we of course utilised the ABCTS message to stress the point of HIV prevention, and all the hundreds of kids all at once yelling ‘condom use’ really showed how our work over the previous three days had paid off excellently! 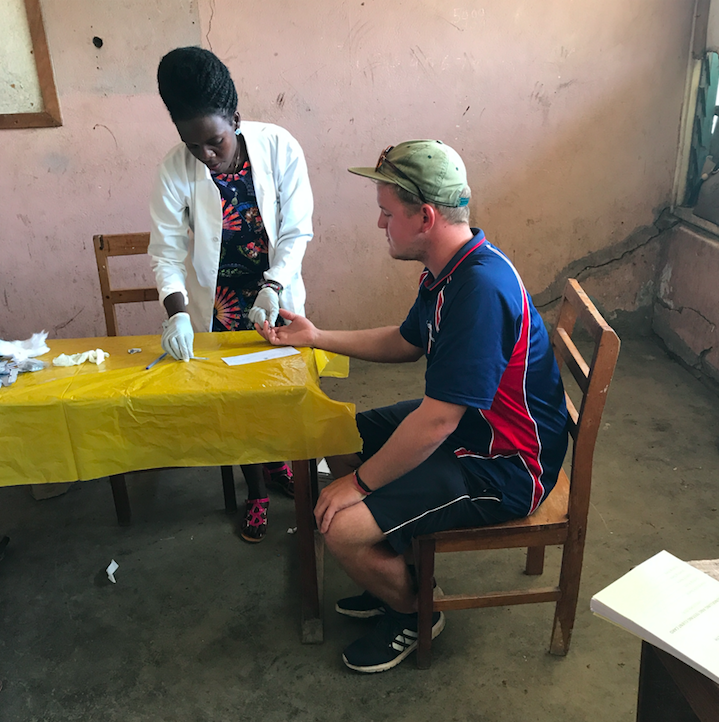 However, a shock to myself and the other volunteers was that whilst ‘The Marmalade Pope’ was getting the children to chant Test Test Test, we discovered that a testing station had been set up for the children to be tested for HIV. To encourage the kids to get a test, a number of us volunteers collectively got a HIV test also. Throughout the past week we all had stressed the point of getting tested, and to my astonishment, 124 children from the local schools wanted to be tested which brought a tear to all of our eyes. An amazing moment which I and my friends will never forget. Three of us got tested to encourage the children – here’s Will doing his. 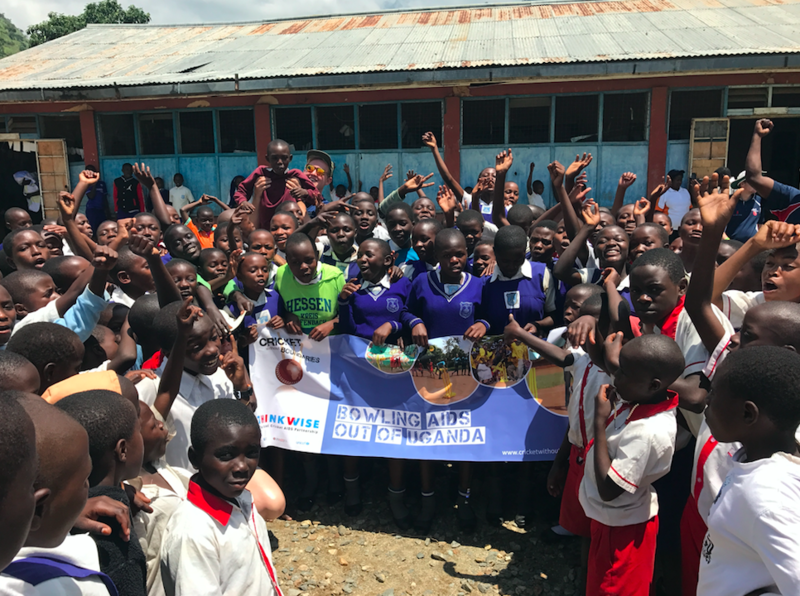 In the afternoon, the team split off into two separate teams; Tanya, Jhon, Jordan and Johnson with four local schools down in Kasese, and myself, Will, Jo, Lee and Manny with a secondary school in the afternoon. Both teams gained a lot of experience from both sessions, myself in particular learning how to adapt coaching cricket and HIV prevention to teenagers instead of young infants. Jo on the other hand learnt how to avoid getting a bouncer to the face from a young Ugandan woman fast bowler. The entire team over the last few days has worked exceptionally hard to coach hundreds of Ugandan children, and the culmination of testing over 100 children has been an exceptional way to finish our time in Bulembia. 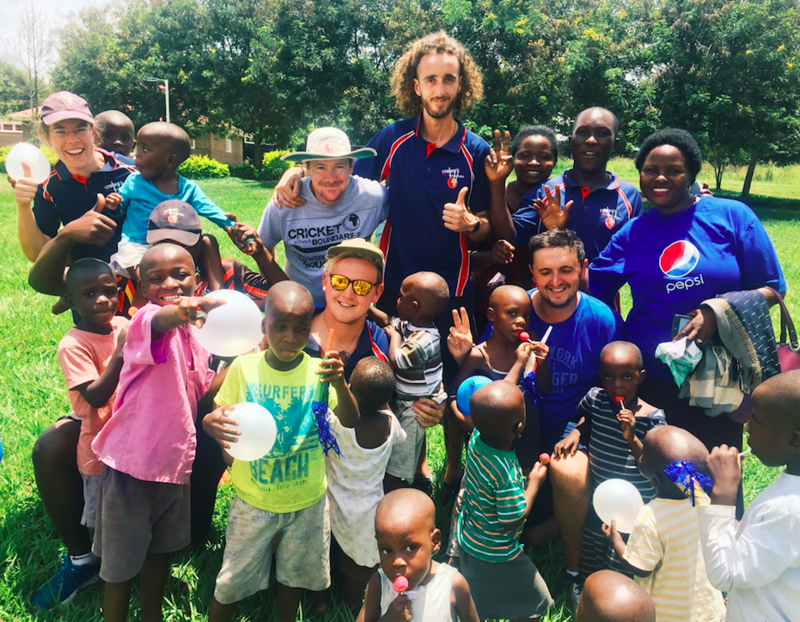 Our Thursday included a brief visit to an orphanage where we brought some young kids a whole load of balloons and lollies, and played some improvised games of catch with them. It was a great experience again… something I’d never experienced before. The afternoon consisted of a four hour bus ride to Mbarara – we saw elephants, baboons, some fancy deers (Kobs) along the way… our first night in Mbarara consisted of some exciting / harrowing motorbike rides along some exciting / harrowing roads. A great two days with the highlight being getting to view the HIV testing in action! 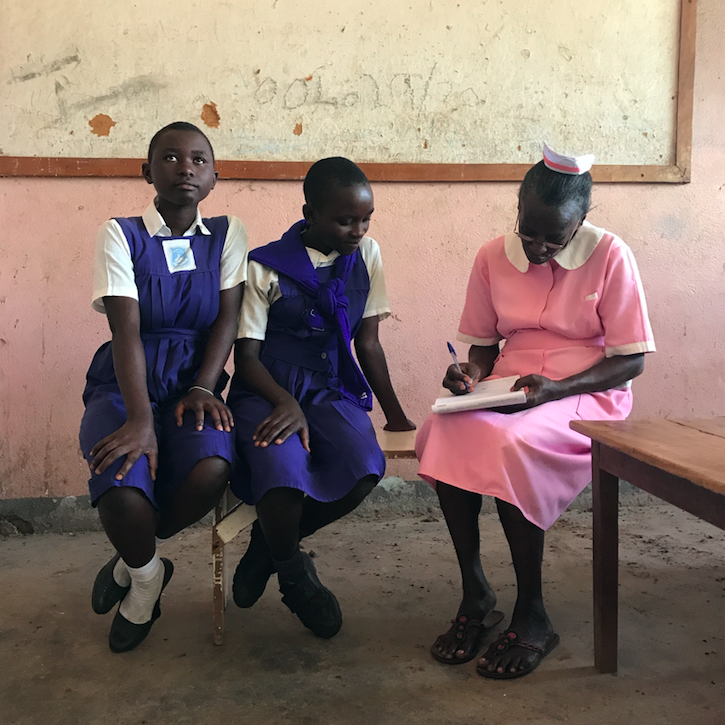 Next Post Uganda South: Thoughts from a new volunteer! When we were in Kasese it was brilliant that so many were tested. It makes it all with while! Looks like you guys had as brilliant a time there as we did in 2016!